Who doesn't love magazine? no one right, especially young lady like us, we all do love magazine especially fashion magazine. Since I was 13 years old, my Mom bought me teen magazine, and now i become a magazine junkie. Today, i confuse to buy fashion magazine, cause I think there's many great magazine out there, but I have no money to buy all of them, so I have to make a choose to buy the best. And then I googling and find this article. This is the list top ten world magazine 2011 that I want ot share, I get this article from here. Fashion magazines feature latest fashions, fashion shows updates, interviews with fashion designers, new trends, interviews with fashion models, fashion industry news, fashion tips and much more. 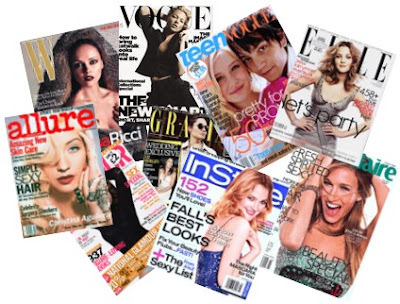 Here is the list of top ten fashion magazines of 2011. 1. Allure magazine: It was founded in 1991, by editor in chief Linda Wells. Allure is the topest US women’s beauty magazine available monthly by Conde Nast. Allure focuses on beauty, fashion, and women’s health topics. 2. Cosmopolitan magazine: it is an international magazine for women, published first time in 1886 in the United States as a family magazine afterward it is altered into literary magazine. Cosmopolitan has 63 international editions; printed in 36 languages and is distributed in more than 100 countries. 3. Elle magazine: it was founded in France in 1945 by Pierre Lazareff and his wife Helene Gordon. It focuses on women’s health, beauty, fashion and entertainment. 4. Esquire Magazine: it was founded in 1932.its men’s magazine, published in United States By Hearst Corporation. It includes both adult magazines as well as more conventional ones. 5. Glamour magazine: it is founded in United States in 1939.Glamour is a women’s fashion magazine published by Conde Nast publications. 6. In Style Magazine: In style is Launched in 1993,published in the United States by Time Inc.it is a monthly women’s fashion magazine it offers articles about splendor, fashion, home, entertaining, benevolent happenings and celebrity lifestyles. 7. Marie Claire Magazine: Firstly it was issue in 1937 by jean prouvost, it’s monthly women’s magazine first published in france,it focuses on women issues, it also covers. 8. Teen Vogue: Firstly it is issue in February/march 2003.its United States magazine focus on teen girl’s issues. It also focuses on fashion and celebratities and offers information about the latest entertainment and covers stories on in progress issues and actions. 9. Vogue magazine: Arthur Baldwin Turnure founded magazine in 1892, as a weekly magazine in United States. It is a fashion and lifestyle magazine, published monthly in 18 national and one regional edition. 10. W Magazine: It was created in 1971 by the publisher James Brady. It is a monthly American fashion magazine BY Conde Nast publications. yes, everyone love looks magz :D, btw I haven't ask your permission to put your house of nabilia in my blog link. May I put your link in my blog? thank you very much for following me! I am also following you. I was in Indonesia two years ago adn must say I love this country!!! I wish I will go soon back. where are you from exactly?? VERY FAVE is IN STYLE !! I get a lot of inspired looks from their pages. thx for your comment on my blog !! 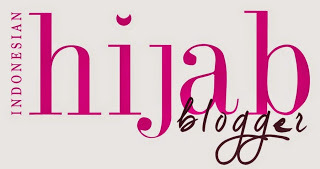 I just followed you ;) great blog. !